Developing your value proposition is an important first step, but you then need to apply it effectively in your sales activity, marketing campaigns, new product development and strategy process. 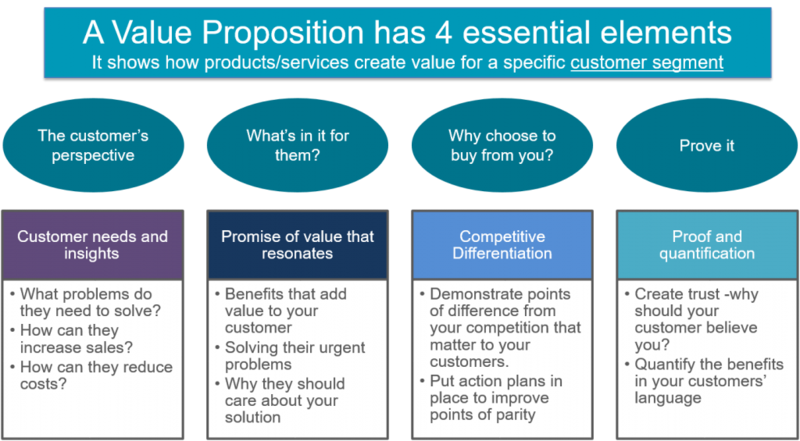 I use a 7 step process to help companies develop their customer value propositions. In complex B2B sales environments, your value propositions are constructed by focusing on the different buying influences (Economic, Technical and Practical) and their most important problems and needs. Prior to application of your value proposition, it is very important to test and refine the ideas to make sure that customers recognize the key messages and that it addresses their most important needs. Sales is all about winning new customers and maximizing customer lifetime value. Don’t expect your marketing agency to know your business and customers like you do. They are great at communicating your messages, focusing on sales leads and writing content; but they need you to provide your value propositions based on your customer insights. 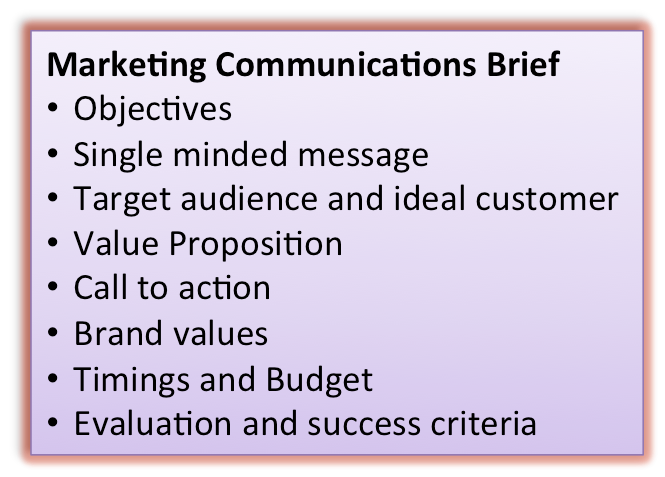 If you take the time to provide clear briefs to your marketing agency, you are far more likely to get the results you want. 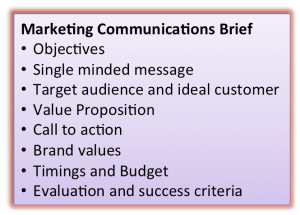 Use these headings to put together a marketing brief which gets results. And if you’re looking for even more inspiration, Hubspot is a great place to start – have a look at this article on how to create a successful blog. It is far better to define your value proposition before you start product development. Developing new products based on clearly understood customer needs and insights ensures rapid new product adoption. The Lean Start Up movement (Eric Ries) encourages a ‘build, measure, learn’ approach. By turning ideas in to a prototype or “Minimum Viable Product (MVP)’ , rapid feedback is obtained from customers to allow product iteration. This constant customer interaction throughout the NPD process ensures customer buy in to the final product/service. Incorporating the ‘build, measure, learn’ approach in to a traditional ‘stage gate’ process ensures both structured development and close customer interaction all the way to the finished product. Identifying the 4 or 5 things that you absolutely must do to be successful and then executing relentlessly to achieve these focused strategic objectives. Getting to your value proposition requires a deep understanding of your customers and markets. This forms a key part of your diagnosis which is the basis for strategy development and execution. See my Strategy slideshare for more on strategy development and execution. Sales and marketing campaigns are more effective as you target ideal customers with products and services that match their needs. New product development (NPD) is more successful with faster adoption based on customer insights. Strategy development and execution becomes clearer and more effective. All this leads to profitable sales growth as your customers recognize value that they are willing to pay for.